The other day my wife gleefully showed me a video of a chap on YouTube dancing and singing about a pineapple and a pen. To her and her friends, it was the most hilarious thing they had ever seen, and over 85 million folks appear to agree. Personally, I don’t get it, but that’s the whole point of a craze – to some it’s brilliant, to others it’s totally baffling. And that’s exactly the effect the Honda MSX125 has on riders. For a company as straight-laced as Honda, it seems incongruous to have built a machine that has developed such a sub-culture as the MSX. 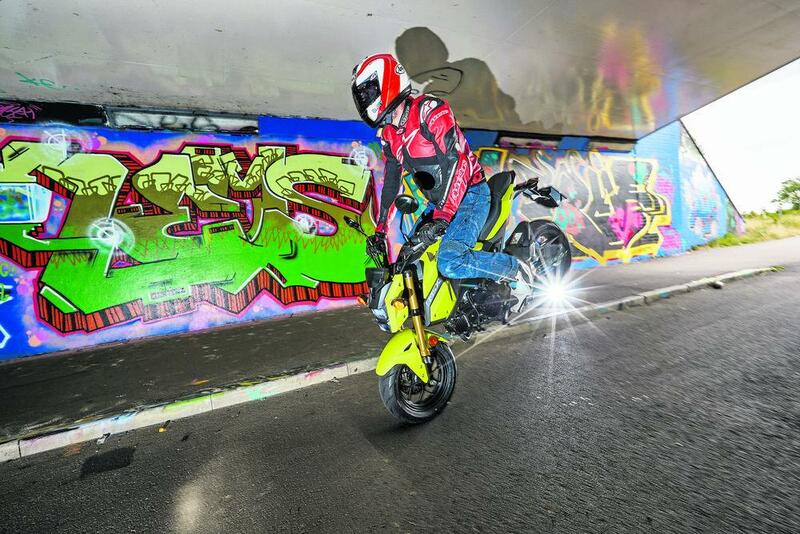 But that’s what the Mini-Street Xtreme 125 has done – but not under the name Honda gave it. To fully immerse yourself in the world of this bizarre Monkey for the modern generation you need to call it by its more popular street name – the Grom. The actual meaning of the word ‘Grom’ is a source of conjecture, but it is generally reckoned to relate to an American surfer dude. But what isn’t up for debate is the Grom’s effect on two-wheeled culture. Every corner of the globe appears to have Grom owners’ clubs or groups of mates who gather together to ride this 125. Dig a little deeper and you enter into the murky world of Grom customisation and performance enhancement. So what exactly is the appeal of a 9.6bhp mini-bike? Being 6ft 2in and 14 stone it was decided I was the ideal candidate to find out, so I grabbed the keys to a totally standard MSX125. Groms attract attention and in its Day-Glo yellow our particular bike certainly is a looker. With its Transformer’s style headlight and red calipers it just makes you smile. While the Grom is certainly a small bike, it’s not stupidly cramped, even for a tall chap like myself. When it goes to full lock my knees hit the bars and the mirrors are so close I look sideways to see what’s behind, but it’s actually surprisingly roomy. 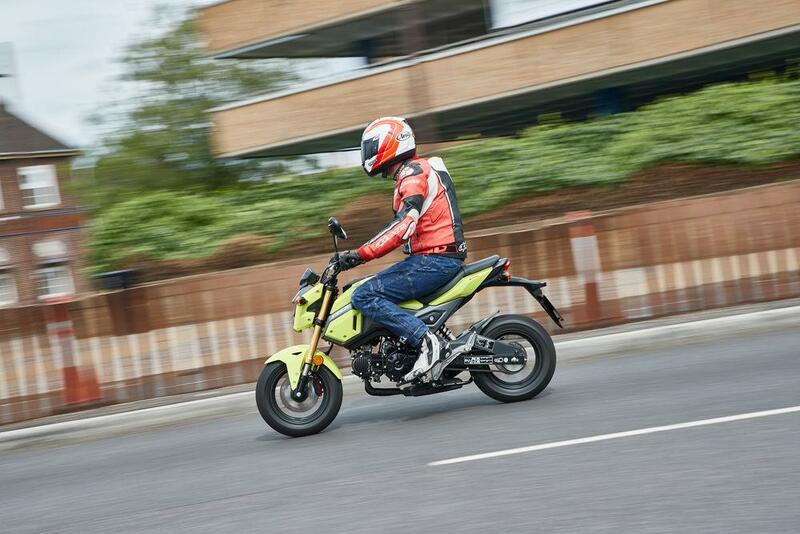 Unlike a Monkey bike, which does feel like one of those clown mini-bicycles to ride, the Grom is mid-sized and can (just about) be ridden by anyone of any stature. The start of my journey was on a main road and with the engine maxed out at 60mph (I once hit a dizzying 64mph) it was a little unnerving to look in the mirrors and see lorries close behind towering over me – though that’s nothing a big-bore kit wouldn’t sort. In town the Grom is brilliant. Thanks to its small size you can zip through gaps and the low gearing means you can win most traffic light GPs, while the seating position puts you on a level with car drivers, so you aren’t ignored. So can I now understand the fascination of the Grom? 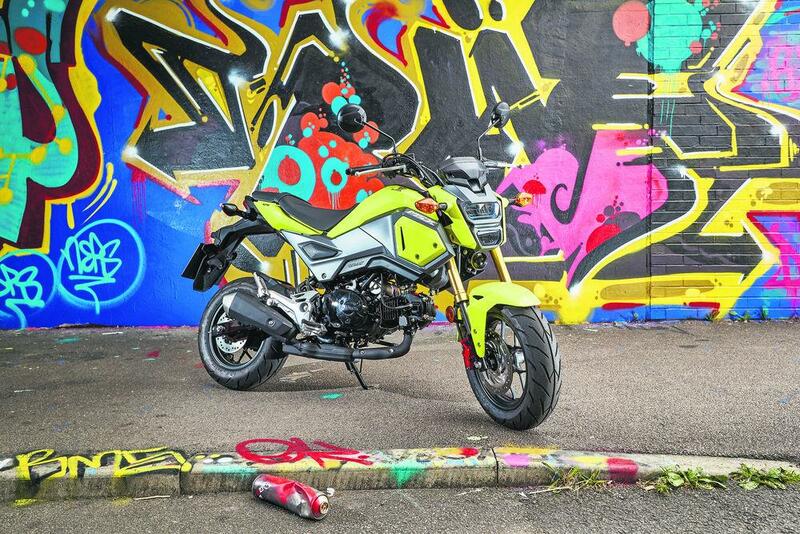 The Grom looks cool, is hysterical to ride and comes with a cool scene to get involved with, but it is also an excellent city bike, frugal to run and very non-threatening for newer riders. Sound intruiging? 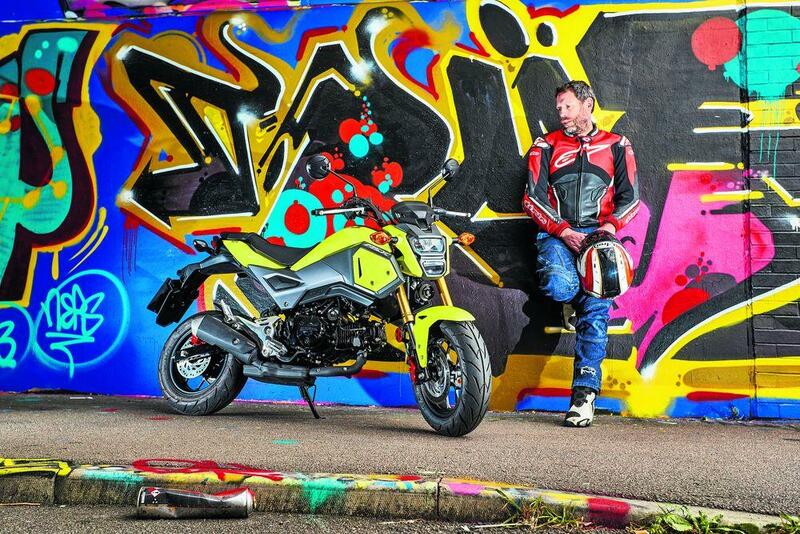 Check out the full range of Honda Grom's. But Groms aren’t designed for main roads; they come alive on back roads and in busy cities, so I turned off the A-road and took to country lanes, which is where I started to understand the fascination with the Grom. On a tight and twisty road the Grom is hysterical. Its short wheelbase of just 1200mm, and wide 12in tyres make it super-agile and you attack each corner as if it were your last, desperately conserving every single mph. I’m reminded of my days as a teenage hooligan on a 125 as I risked life and limb refusing to close the throttle and barreling around bends with only a small semblance of control. The speeds are such that you never feel like you are going to hurt yourself, but the Grom’s light 101kg weight and small size means you just hurl it around and giggle. I can only imagine the chaos if a group of Grom mounted mates were added into the equation – which is exactly what most owners do and is why Grom clubs are springing around the globe. In standard trim the Grom is great fun on backroads and a cool city tool with looks that make people stop and smile – but it is bloody slow, even for a 125. The bare bones are all there and the fact it is such a giggle and so charming has led to numerous companies devising solutions to the Grom’s failings. If I had a group of Grom-mounted buddies I could see my garage being full of big-bore kits and the like, adding another amusing dimension to the experience. Crucially, the Grom makes me smile and at the end of the day that’s the underlying reason we all ride bikes. 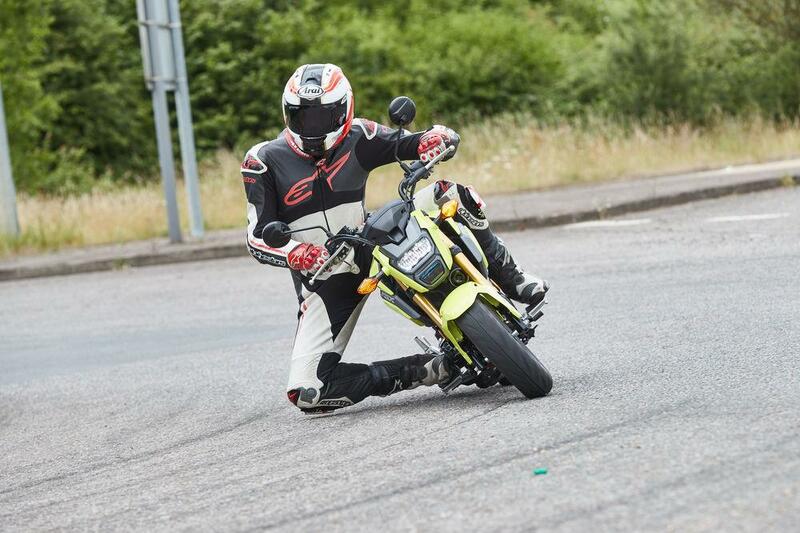 The fun happens at sub-60mph speeds, making it far more licence friendly than a sportsbike as well as cheaper to run. So yes, this is one craze I could buy into. The Honda MSX125 is made in Thailand, like a lot of the smaller Hondas on the market, but the build quality and reliability is just what you would expect from the Japanese manufacturer. 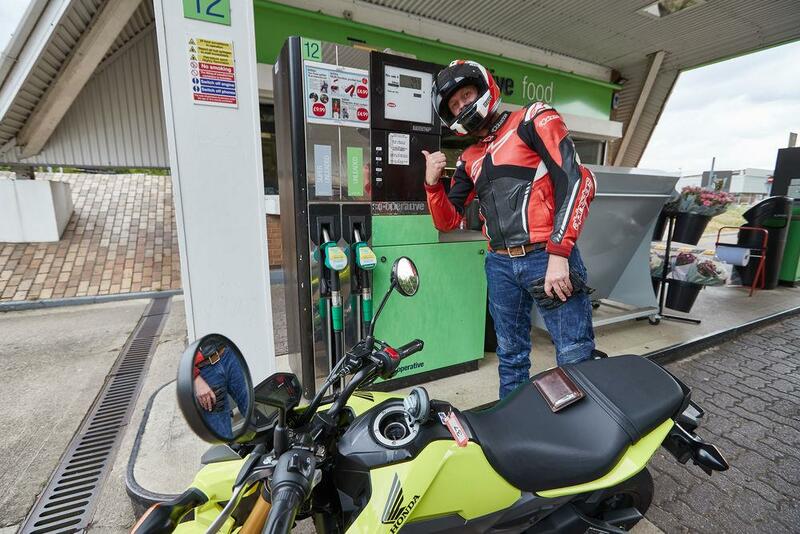 The Honda MSX125 has a claimed fuel economy of 185mpg – yes, you read that right – and a price of £3389, which adds up to some cheap motoring – although, on a day of murdering the little 125, I only got a slightly disappointing 100mpg. The MSX125 is over £800 cheaper than a KTM 125 Duke, but £400 more expensinve than a more comparable Yamaha YS125. You can pick up a used Honda Honda MSX125 for sale for a little over £2k. Although the brakes lacked ABS up until 2018 they are strong and the fact they don’t have any electronic watchdogs means you can do skids or stoppies if/when you feel the urge. You get LED headlights, LCD digital dash with speedometer, twin trip meters, fuel gauge and a clock, so it's a pretty basic affair especially compared to the TFT Bluetoothiness of competitors like the KTM 125 Duke. Honda Launched the MSX125 in 2014. In America it is known as the Honda Grom. In 2018 the bike got a styling upgrade and ABS was added. 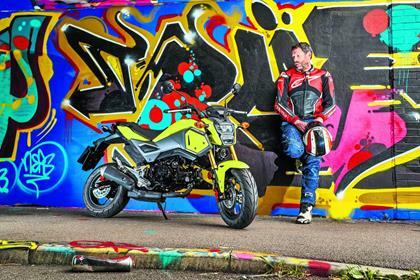 1 owner has reviewed their HONDA MSX125 GROM (2014-on) and rated it in a number of areas. Read what they have to say and what they like and dislike about the bike below. Lighter and cheaper than many scooters, more agile than any bigger motorcycle, faster off the line than most small cars. There is no better way to move around town. One of the most agile vehicles you can purchase thanks to its compact dimensions. The low, narrow seat makes it easy for shorter riders to use. However, it is quite hard. Rear suspension is spot on while the front is far too soft and slow to rebound. Brakes are adequate. A very simple 2-valve, air-cooled single that can trace its origins back to the 1970s, it is fuel efficient and super reliable. However, it is slightly lacking in power. The gearbox is poor: sloppy on downshifts, and could do with an extra gear. Exhaust may rust if stored outdoors, otherwise fit and finish is very good. Excellent reliability. Low price, simple construction and excellent reliability combine with good fuel economy to make the MSX125 one of the cheaper bikes to own. Quite good for a bike this small and this cheap. The fully digital dash also has a rev counter, fuel gauge and clock. Newer models (2016-on) also come with an IMU-based ABS on both wheels. Only thing keeping it from scoring 5 stars here are the poor stock tyres. Bought brand new in 2015 for €3500.